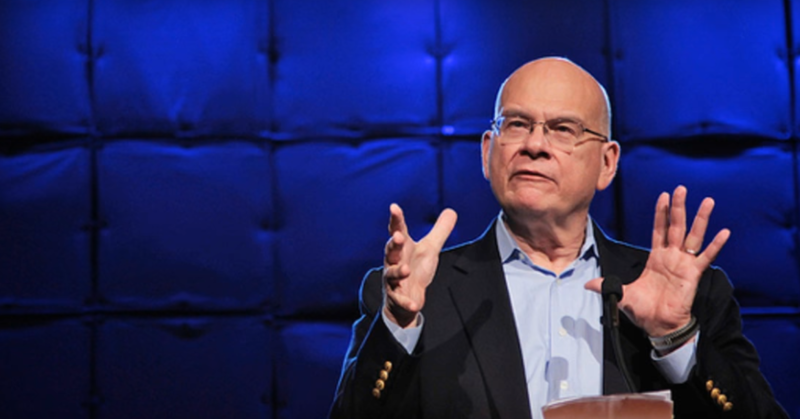 Tim Keller: "The God Of 'The Shack' Has None Of The Balance And Complexity Of The Biblical God"
Back in 2010, Pastor Tim Keller gave a very interesting review of William P. Young's novel 'The Shack' at The Gospel Coalition. With The Shack back in the public view via a blockbuster movie, it may be wise to comb through Keller's words once again. "It is so accessible to readers because of its narrative form. I have heard many reports of semi-believers and non-believers claiming that this book gave them an answer to their biggest objections to faith in God," writes Keller. "However, sprinkled throughout the book, Young's story undermines a number of traditional Christian doctrines." Then Keller hits us with the most interesting line of his entire article: "Anyone who is strongly influenced by the imaginative world of The Shack will be totally unprepared for the far more multi-dimensional and complex God that you actually meet when you read the Bible." As Keller points out, there are deep flawes in The Shack's portrayal of the character of God. "The God of The Shack insists that he doesn't give us any rules or even have any expectations of human beings. All he wants is relationship," he writes. "The reader of the lives of Abraham, Jacob, Moses, and Isaiah will learn that the holiness of God makes his immediate presence dangerous or fatal to us." "The Shack effectively deconstructs the holiness and transcendence of God. It is simply not there. In its place is unconditional love, period. The God of The Shack has none of the balance and complexity of the Biblical God. Half a God is not God at all."